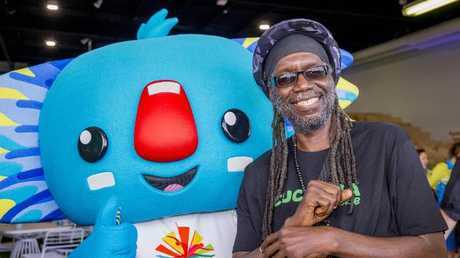 ORGANISERS have issued a last-minute plea for people to snap up Commonwealth Games tickets, amid fears inflated hotel prices have kept people away. While almost one million Games tickets have been sold, about 200,000 remain unsold and Games chairman Peter Beattie has appealed for buyers to come forward. Re-sale tickets remain for premium events, including the April 4 opening ceremony at Carrara Stadium. "We do say to all our friends in Sydney and Melbourne, here's an opportunity to buy these tickets," he said. "If you want to get to the biggest event in Australia for a decade, now's the chance to do it. There's accommodation left - we've sold about 70 per cent - so there's plenty of rooms, plenty of airfares, plenty of tickets." 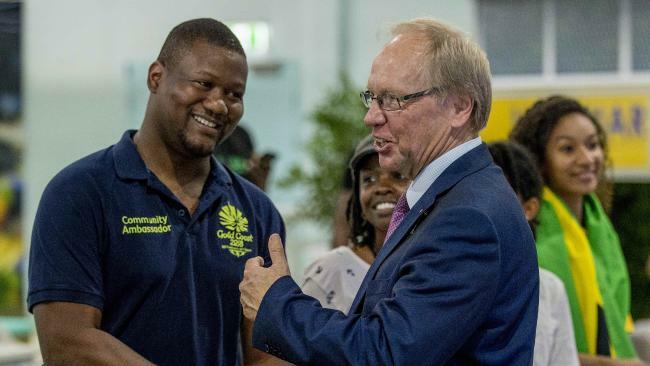 Games chief executive Mark Peters warned that there could be empty seats at some events, but said organisers were pressuring sponsors and international Commonwealth Games associations to fill them. "There's nothing more frustrating than to be told an event's sold out, and people on television will see there's empty seats," he said. 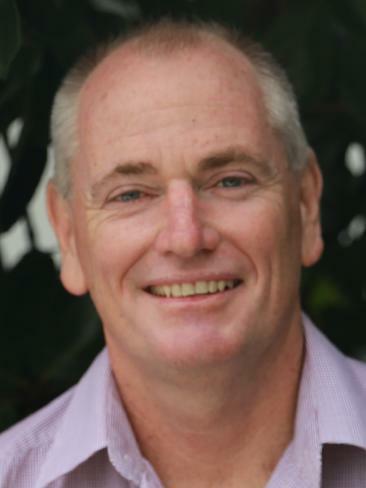 Gold Coast Tourism Bureau director of corporate ­affairs and strategy Dean Gould has told Gold Coast City counsellors he was hopeful of a late surge in hotel room bookings. Dean Gould is hopeful there will be a last-minute surge in hotel bookings, despite admitting were priced too high. But he admitted some hoteliers had "sat on rooms hoping to get El Dorado sort of prices". Mr Gould said the bookings reflected "traffic fears", hotel prices and mum-and-dad competitors. "We're trying to address (it) now with our marketing campaign into Brisbane," he said. "One, saying there is accommodation available and it's at reasonable prices. I think the other issue is the untold impact of Airbnb. We know there are 4000 operators on the Gold Coast. We don't know if they're operating at 20 or 100 per cent." Reggae-singing fans greeted the star-studded ­Jamaican athletics team when they jetted into the Gold Coast yesterday. 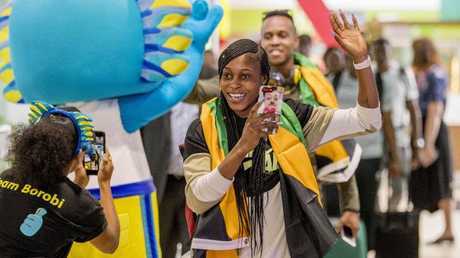 Led by Rio Olympics dual sprint champion Elaine Thompson, the Jamaicans flew in to a colourful welcome from Caribbean expats and supporters, including touring British reggae star Macka B. But a last-minute Games bungle emerged, with revelations some of the 15,000 volunteers had been sent the wrong-sized uniforms. Small-statured volunteers were given large uniforms and reportedly told to pay to have them tailored. One petite volunteer who was given an oversized uniform said she was told GOLDOC had run out of small outfits. Mr Beattie admitted there had been "confusion" over uniform specifications, but denied volunteers had been told to pay for their alterations. 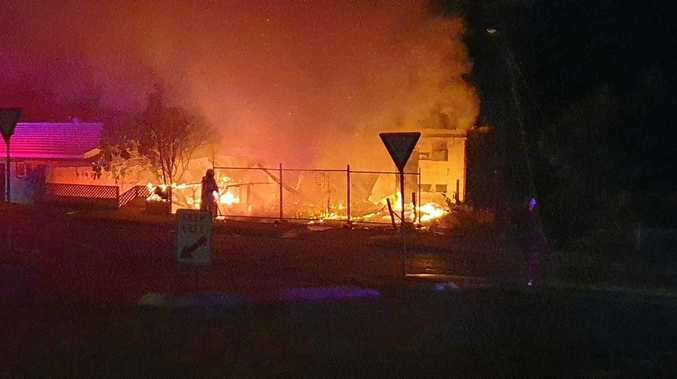 News FIREFIGHTERS rushed to evacuate homes when a fire broke out in the early hours of this morning.